AngularJS is complete client side solution and this application only runs through web browsers only. AngularJS was Developed by Misko Hevery a Google Employee and Maintained by Google. Its also called as Single Page Application (SPA). There are plenty of Front-end frameworks are available in the Web World. All the frameworks have some pros and cons. So the question may arise What’s special in AngularJS ? Yes!! AngularJS allows its developer to write less code to get more functionality. Also it provides a magical function of Two-way Data Binding. Most of the frameworks implement MVC by asking Developer to split the application in MVC components. Then the developer has to write the code to work together again. That’s a plenty of work. AngularJS implements MVC by asking Developer to split the application into MVC Components and then AngularJS do the Rest of the things. No need to write code again to work together again. AngularJS have many directives and each directive do different functions. The amazing feature of Angularjs is you can call the function from your template. Since it supports two-way data binding. The directives allows you to use it as regular HTML Syntax. AngularJS comes with many features. 2. Provides more reusable components. 3. You can create a template and you can reuse it in the application multiple times. 4. Without writing a single code, you can validate the form even before you submit the form. 6. AngularJS allows you to control the complete HTML DOM structure. 7. Starting an AngularJS Application is very easy. 8. It support client side MVC Structure. 9. In AngulrJS, your templates are treated as strings. 2. Write less code for get more things. 4. Better performance for large scale Applications. 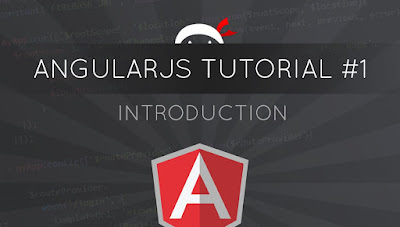 To know more about the AngularJS, Please visit AngularJS all Topics. There are multiples ways to execute the same thing with AngularJS. So sometimes the developer may get confusion and hard to choose the better way. Just take a glance about the Booming framework Angularjs Here.